In the development of their squash equipment, UNSQUASHABLE listens to top professional players and what they require of their gear. 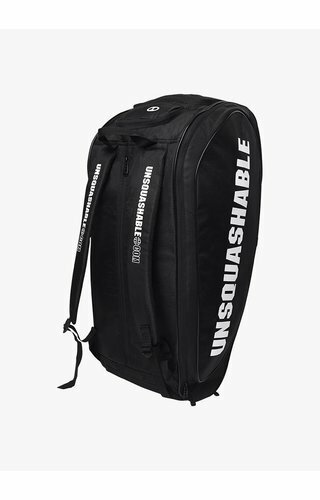 This is because in UNSQUASHABLE they believe that if a brand is able to produce squash bags that meet the needs of professional players, they are also the best bags for players of all standards, regardless of whether you are a competitive or recreational player. UNSQUASHABLE squash bags stand out because they are specially developed for squash, which can be seen in many features and details. For example, the bags have an integrated spectacle case in which you can safely store your squash glasses. Especially players who play tournaments will appreciate the double zippers, because they are equipped with special pull tabs with openings through which you can fit a lock, making them much safer. Moreover, the UNSQUASHABLE squash bags excel in terms of quality and functionality. All UNSQUASHABLE squash bags are made of a durable high-tec material, so your rackets are optimally protected during transport. 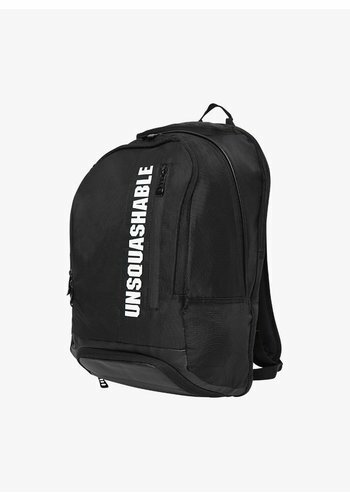 The unique carrying system ensures that you can carry any UNSQUASHABLE squash bag comfortably in different ways: over your shoulder, as a backpack or in your hand. 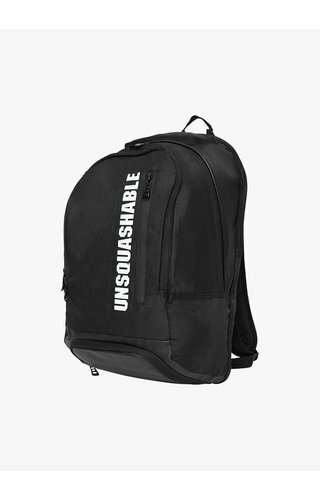 UNSQUASHABLE bags are not only high quality and functional but also nice to look at. The sleek and streamlined design in combination with the stylish logo give the bags a sporty look. The bags come in black colour with small details in stylish white or other contrasting, lively colours. The brand understands very well that it is important for squash players to have sufficient storage space. That is why the UNSQUASHABLE squash bags are slightly larger than average racket bags. 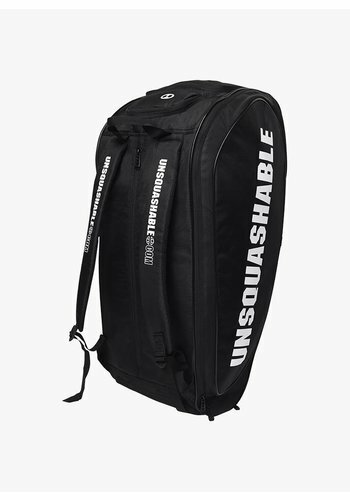 For example, the UNSQUASHABLE Tour-Tec Pro 9 Racket Bag has three large main compartments, while all 9 racket bags by other brands only have two. And the Tour-Tec Pro Deluxe 12 Racket Bag is also very spacious, actually suitable for even more than 12 rackets. In addition, this bag has two integrated shoe compartments, so that you can not only store your damp shoes but also your wet clothes and a towel separate from the rest of your belongings. The large size of the UNSQUASHABLE squash bags is a big advantage, because it also means that you will be able to use the bag longer. If a bag is continuously too full, there will be pressure on the zippers and they will break faster.